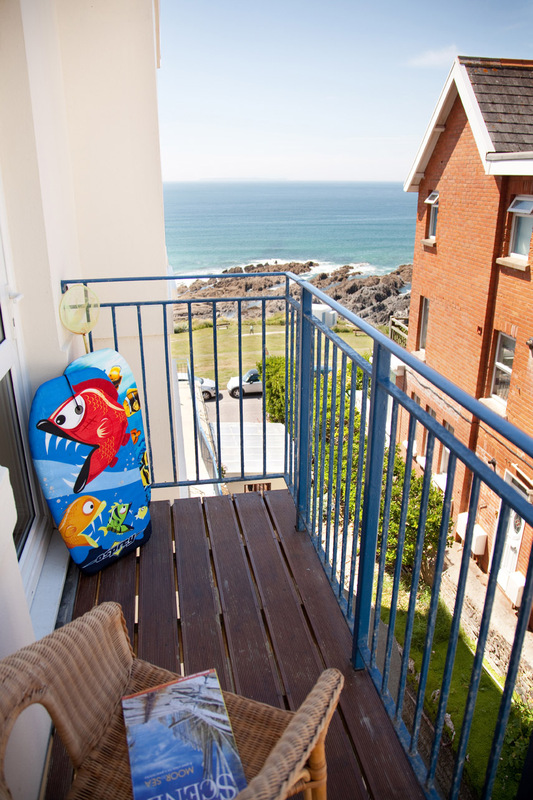 Devon Beach Court is situated on the second floor of a modern three storey private apartment building in the popular seaside village of Woolacombe. This private building comprising of just 12 apartments is wonderfully quiet and enjoys private parking and a magnificent communal terrace that boasts far reaching stunning coastal views. 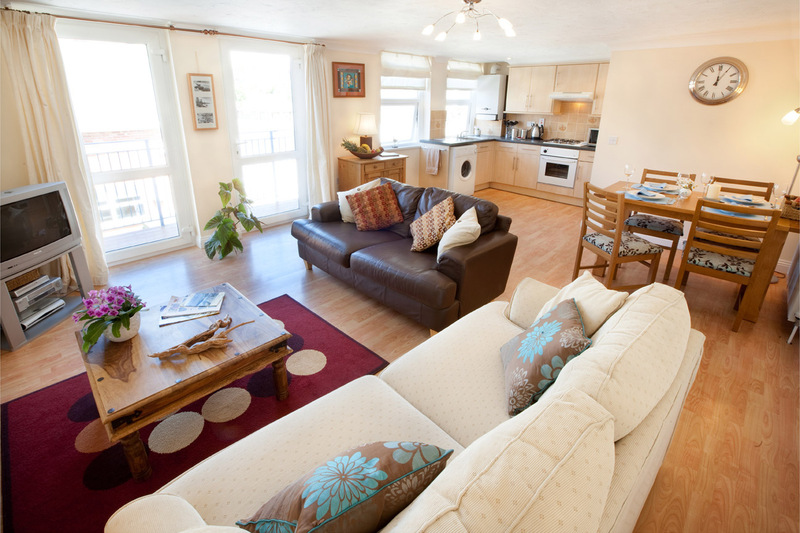 Devon Beach Court is a luxury family holiday apartment that has been furnished with a lovely contemporary theme throughout and is full of ‘homely’ touches to offer its guests a real ‘home from home’ experience. Once accessed, the apartment offers all its accommodation all on one level. A spacious open plan living space features a bright and cosy lounge with two comfy sofas, TV with Freeview and DVD player. 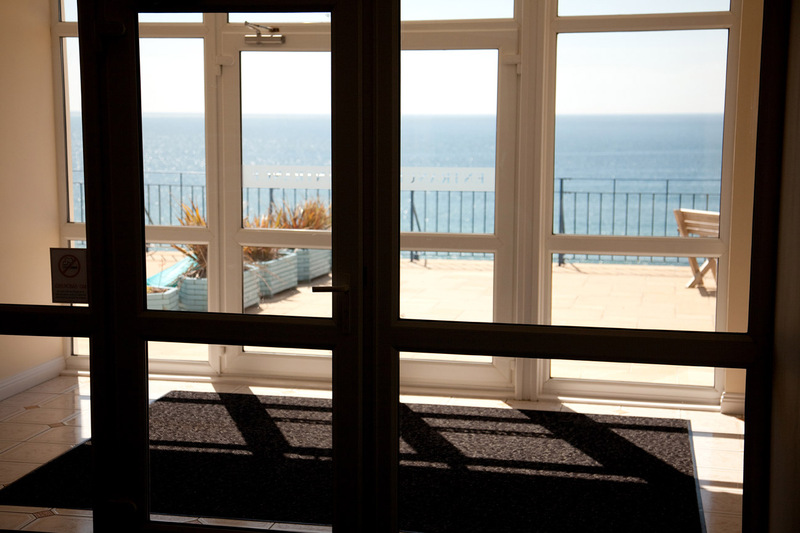 Located off the lounge area, there is a good sized balcony with decked flooring and side sea views. 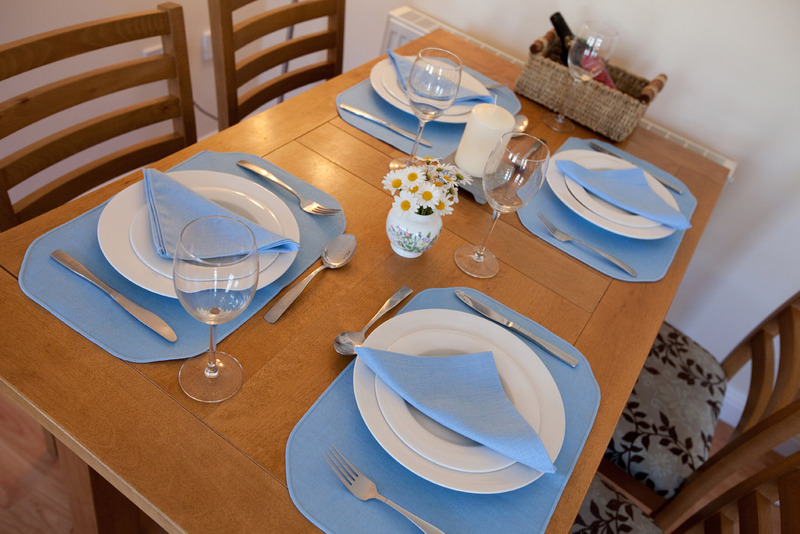 A dining table seats up to 5 and a high chair is available if needed for those holidaying with an infant. A fantastic space for enjoying leisurely breakfasts or evening meals. 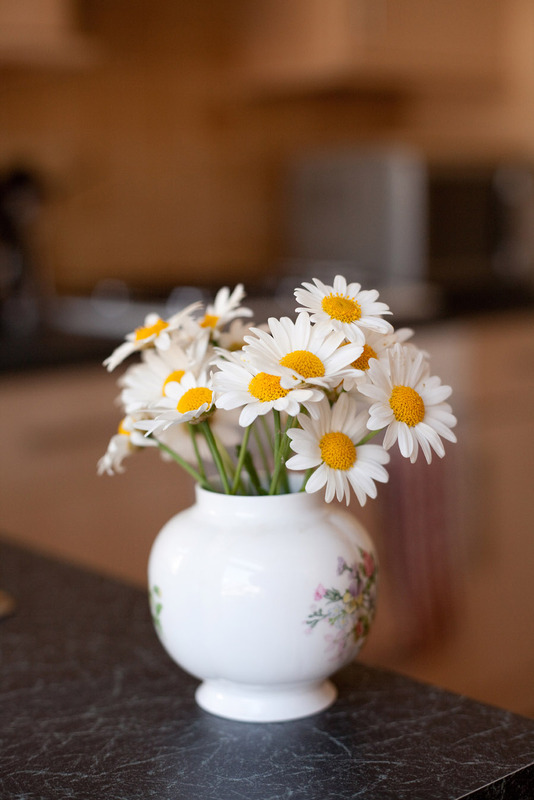 There is a compact but well-equipped modern kitchen which includes everything needed for a self-catering holiday. Appliances includes an electric oven with gas hob, fridge/freezer, washing machine and microwave. 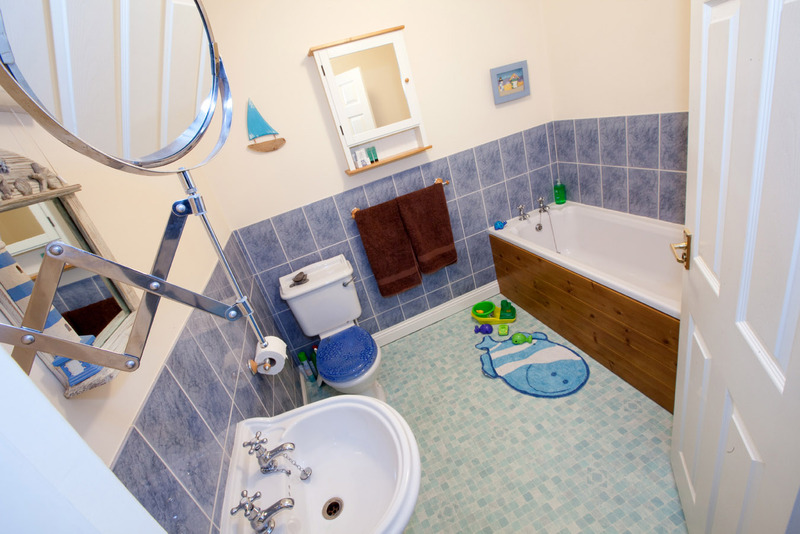 A hallway cupboard houses the tumble dryer, along with a range of buckets and spades and other equipment for the beach. 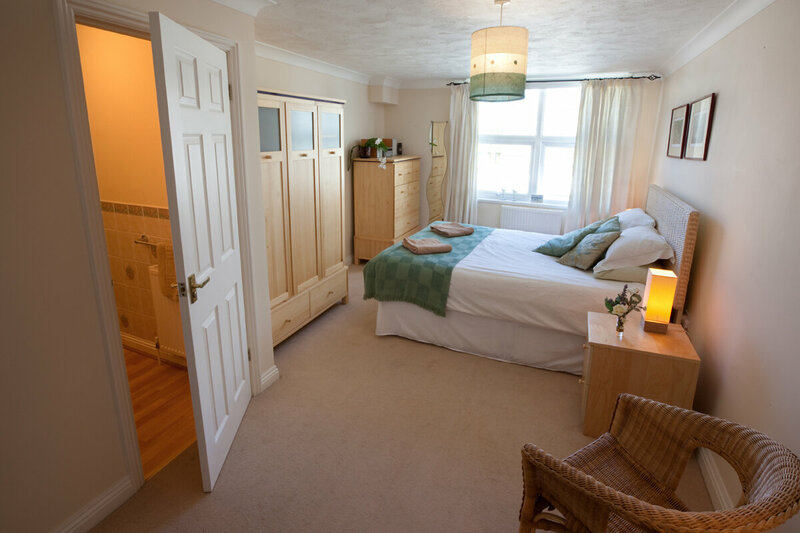 The two bedrooms at this apartment include a good-sized Master Bedroom, with double bed, plenty of storage and its own en-suite shower room. 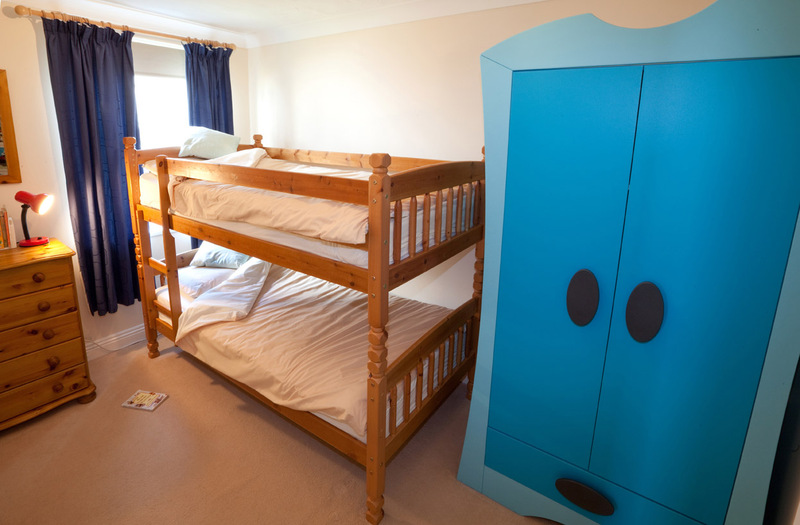 The second bedroom has bunk beds and bean bags - a firm favourite with children. A travel cot can also be provided but must be requested at time of booking. Guests also must bring their own cot bedding. 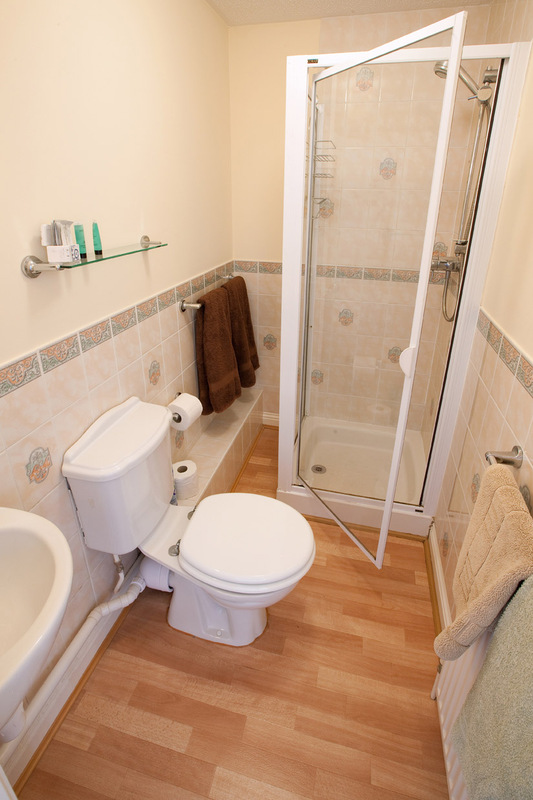 There is also a separate family bathroom fitted with bath, WC and basin. 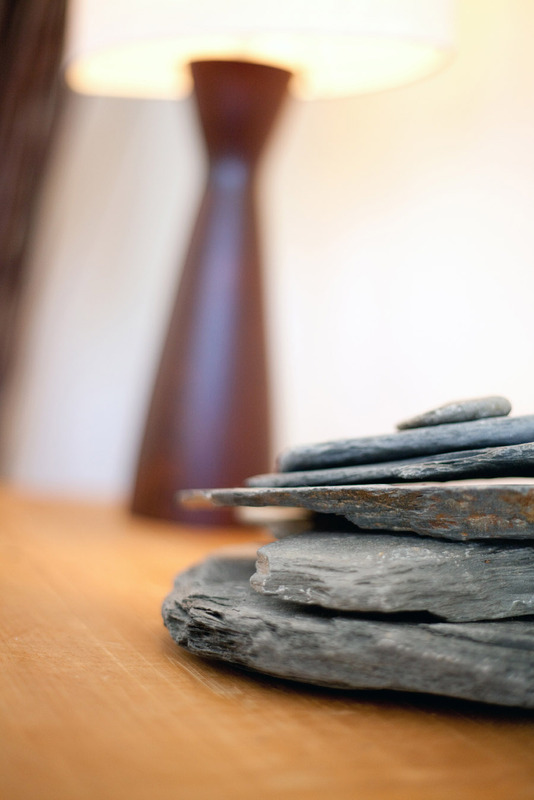 To the front of the property is a shared terrace with seating, which enjoys magnificent sea views, from Baggy Point all the way to Mortehoe. Relax and take time to watch the sun sink behind Lundy Island - the sunsets are stunning. 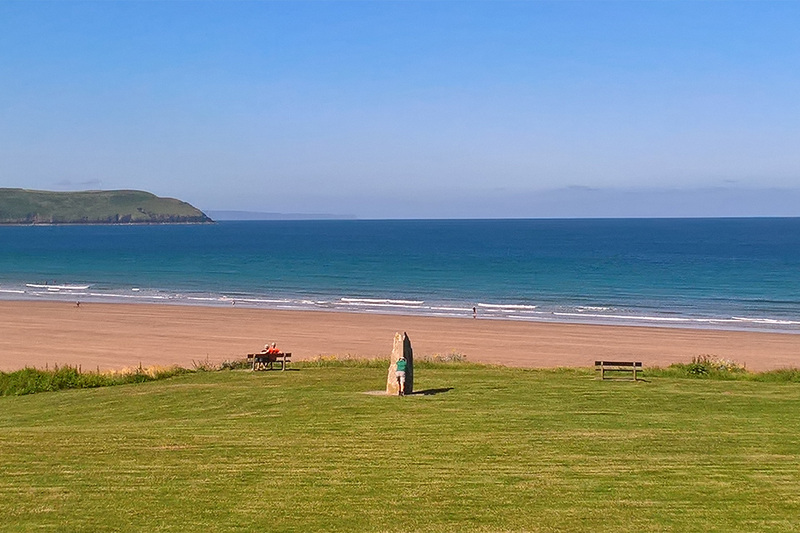 This two bedroom family holiday apartment in Woolacombe is in a great location and makes an ideal base for everyone, including families with young children, walkers or cyclists. Having the coastline, Exmoor National Park and the Tarka Trail all within easy access, it is an adventurer’s haven. 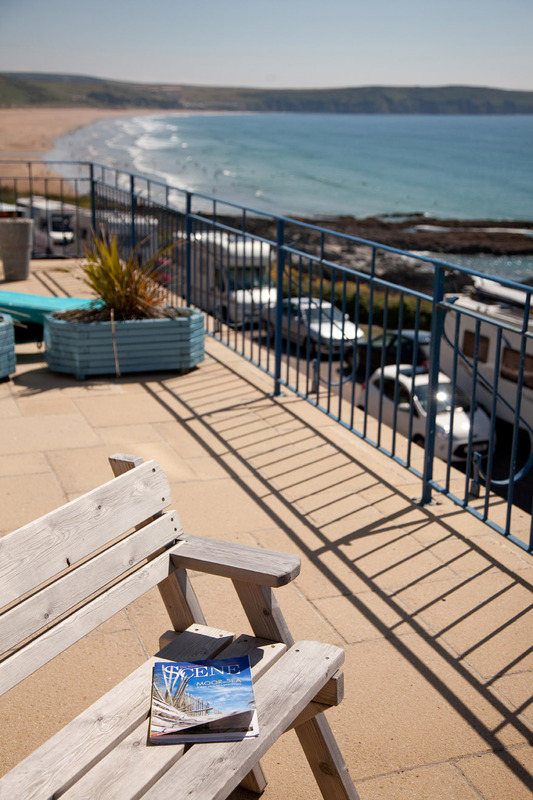 Each self-catering apartment has a dedicated parking bay, number 8 is on the seaward side when you arrive at Devon Beach Court, which can be accessed off Rockfield road (first right off the Esplanade). There are then 2 entrance doors with one step which lead into the impressive atrium. 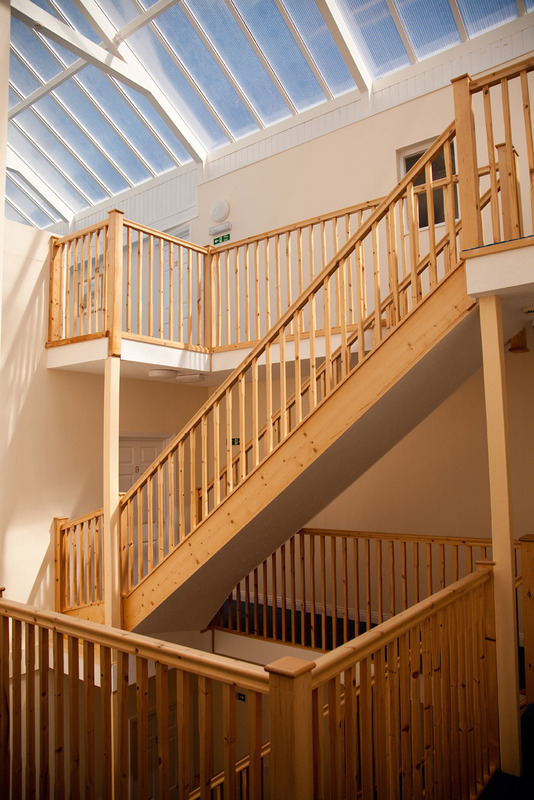 The apartment in Woolacombe is on the second floor, which is served by a staircase or lift. The main entrance doors are secure and there is an intercom system in operation for each apartment. At any time of the year Woolacombe is beautiful with its breath-taking sunsets and ideal setting for exploring North Devon. 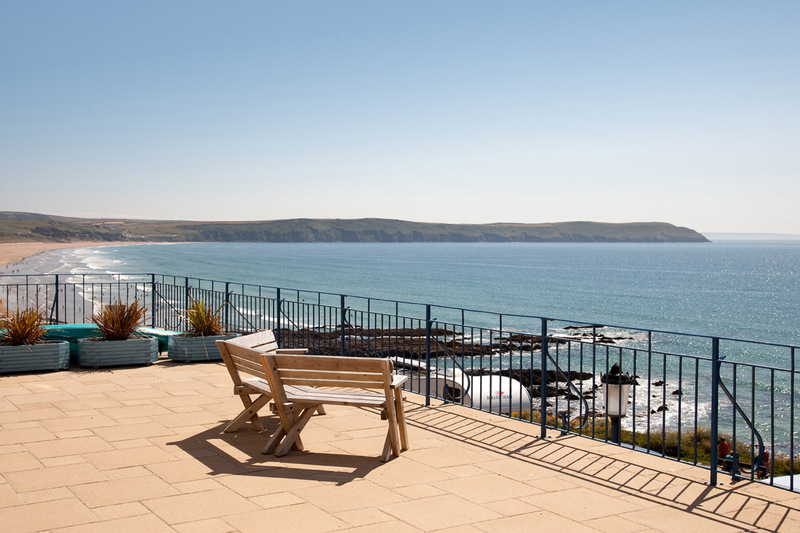 Devon Beach Court offers the perfect apartment for enjoying this area all-year round - not just for summer. 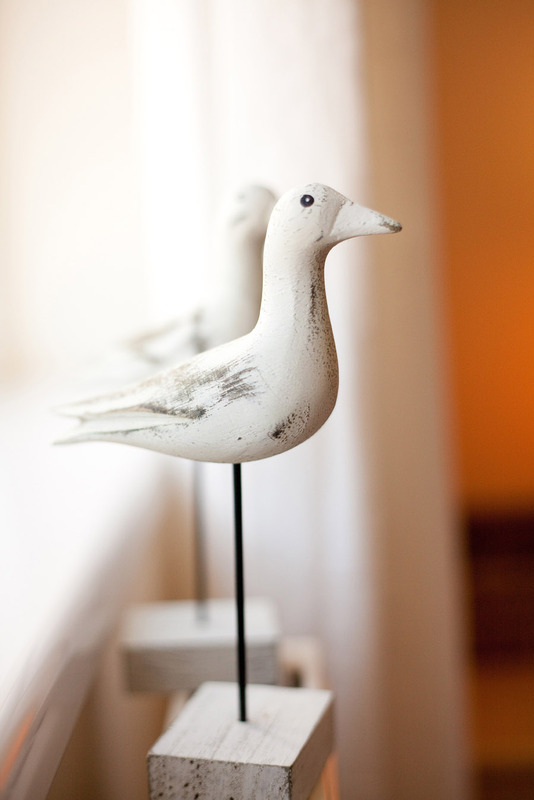 As well as being light and airy, it has gas central heating throughout making it deliciously warm for those wild autumn and chilly winter days when you can snuggle up in bed listening to the waves crashing onto the beach. In spring, North Devon is full of colour with an abundance of flowers, including primroses, bluebells and pink campion helping create delightful walks along green lanes and coastal footpaths. 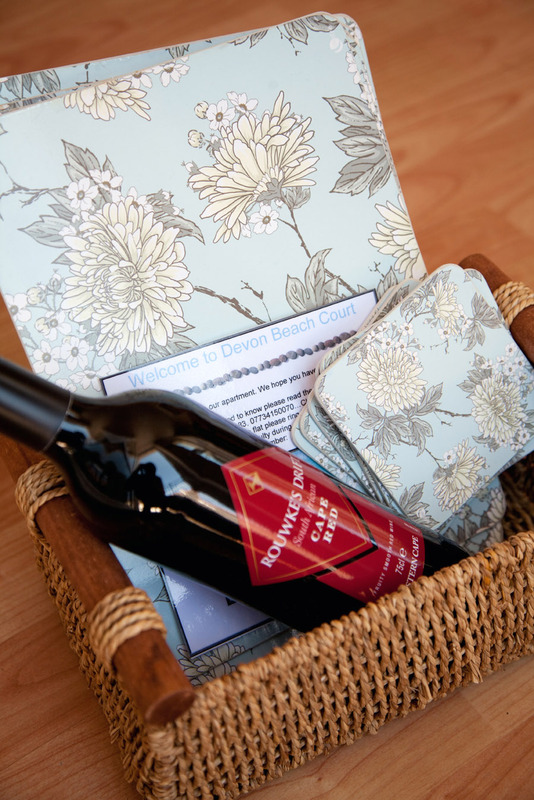 For guests staying at Devon Beach Court over the Festive Season, you will be welcomed with a beautifully decorated Christmas tree, Christmas pudding, crackers, party poppers and a bottle of wine to help make your stay even more special. Sorry, Devon Beach Court is unable to accept pets and is rented on a strictly no smoking policy. 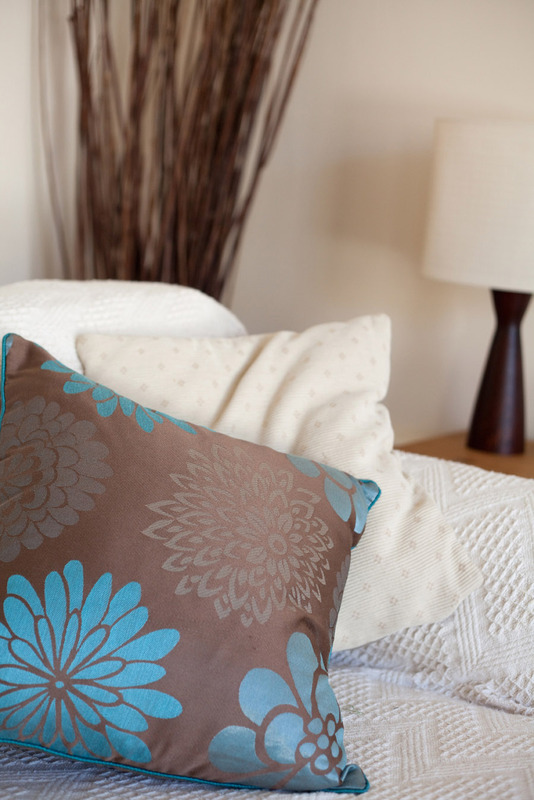 Short breaks are available at the apartment out of season, please see our booking and availability pages for more information, or get in touch with us via email: hello@woolacombebeachapartment.co.uk or on 01271 377432. 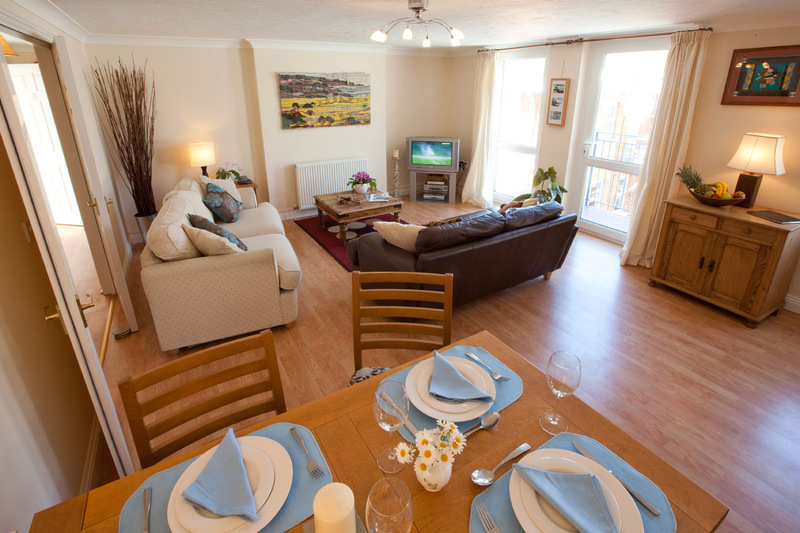 The arrival time at Devon Beach Court is 4pm unless otherwise agreed with the housekeeper. Departure time is 10am. Devon Beach Court has a Friday changeover. Welcome pack consisting of tea, sugar, juice, milk, biscuits, a bottle of wine (for week-long bookings) and many other household essentials, including cooking oil, condiments, herbs, cleaning materials, paper disposables, shampoo and bath oils.